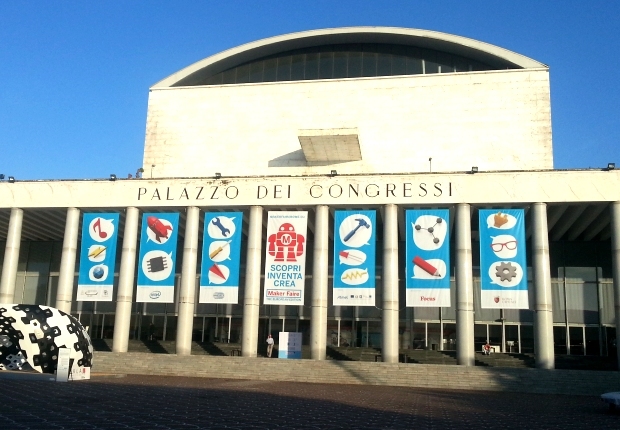 This year I had the good fortune to be invited to speak at both the World Maker Faire in New York (21-22 September) and the first official European Maker Faire, in Rome (3-6 October). This blog post gives you videos from both. When they invited me to speak at the one in New York, I thought ooh this might also be a chance to go and visit Mitch Resnick at the MIT Media Lab. (I know Mitch from our work together for LEGO – such as the Cultures of Creativity report – but wanted to build on this promising relationship). So then I had the even better idea to ask Mitch to do the talk with me. And so our double act was born. [This embedded video may show you just the first 10 minutes; if so, click the ‘watch full program‘ button to view the whole 30 minute session].